Instructions: Score a piece of white cardstock to 5 x 7". Next take a piece of patterned paper from the collection and cut to 4.5 x 7" and adhere to your card front. Now take your memento black ink and stamp and diecut 2 sets of images from the patchwork daisy set. Once done color using your zig clean color pens. 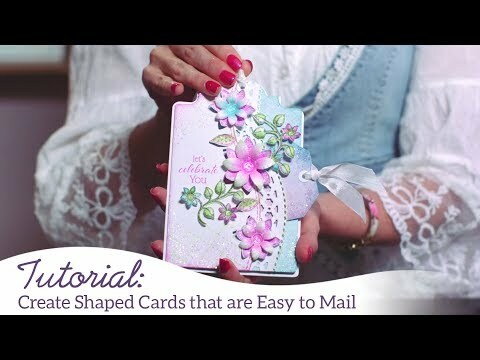 When done add some glitter glue sparingly across your stamped images. Finish it off by using one of the pre-printed sentiments from the paper collection and glue to the center to complete the look.